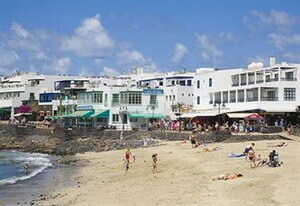 Apartments La Avenida is located on the beachfront in the tranquil resort town of Playa Blanca, Lanzarote, Spain, with its shops and restaurants. 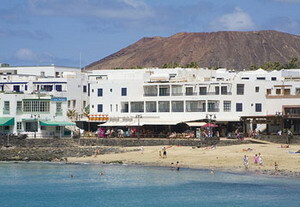 Built in 2003, this whitewashed three-storey apartment complex has typically Mediterranean styling. 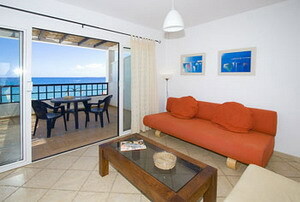 There are good sea views from the two beach-facing terraces to the front of the property. 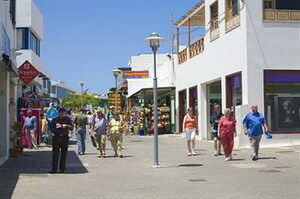 The islands of Lobos and Fuerteventura are clearly visible, as is the harbour with ferries and catamarans docking and departing. Fishing trips are available nearby and windsurfing is available. The 12 one-bedroom apartments include a kitchen-diner and a terrace. 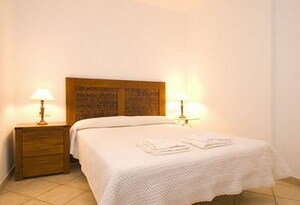 All have light contemporary decor, modern furnishings and tiled floors. 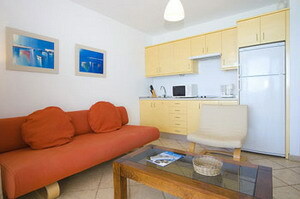 They are equipped with satellite television, DVD players and safes. 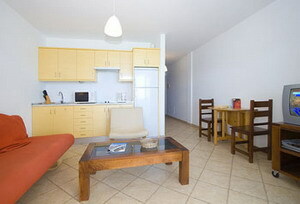 The kitchens come with ceramic hobs and ovens, refrigerators, coffee/teamakers, dishwashers and washing machines.